Using AQUA PATCH saves the end user time, and money, period. AQUA PATCH delivers an easy to use, eco-friendly, permanent repair to asphaltic and concrete surfaces. AQUA PATCH is a “High-performance cold-mix asphalt” which leads the market in quality and usability. AQUA PATCH is water-activated product and environmentally friendly. AQUA PATCH sets up quickly and is traffic-ready immediately after use. Unlike comparable products, AQUA PATCH provides an easy to install, aesthetically pleasing, and lasting asphalt repair. AQUA PATCH does the job right, the first time. Unlike other asphalt patching solutions, AQUA PATCH provides a permanent solution, using revolutionary organic renewable additives and superior quality ingredients, AQUA PATCH is so effective as an asphalt patching solution, that there is no need for continued repair after application. The standard application time is under 10 minutes and will provide a repair that will last the years to come in all weather conditions. AQUA PATCH is designed to be used all year round in all types of weather, hot or cold, wet or dry. With AQUA PATCH, rain and moisture actually helps accelerate the process of curing and bonding, no need to wait on the weather to effect a high quality repair. AQUA PATCH comes ready to use and application is quick and easy. Simply clear debris from the affected area, apply AQUA PATCH, add water, and tamp it down. 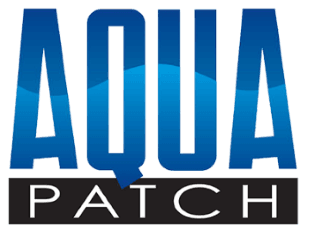 AQUA PATCH is fast, easy and permanent. No heavy equipment required, just one quart of water. ☞ Fix driveways once and done! #1 Setting Time: Drive on it immediately after repair. Hard as hot-mix asphalt. Eliminates repeat repairs, no need to do the job twice. Saves money – Eliminates repeat repairs, no need to do the job twice.